Just picture it. It's Friday. You go to relax by the pool. You get as comfy as you possibly can when you realize the only thing that would make this relaxation absolutely perfect is a glass of wine. 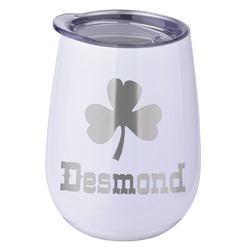 You are in luck because we have the perfect wine tumblers for you! 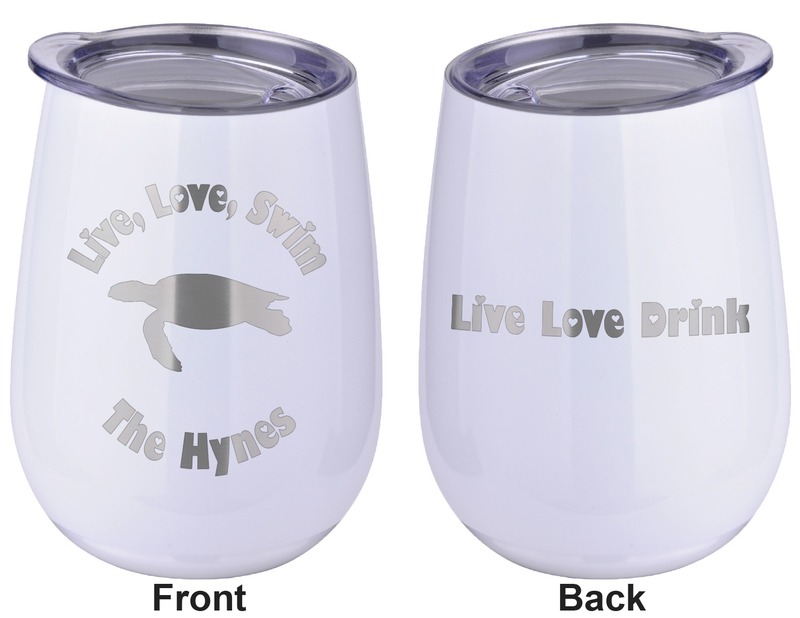 These 10 oz stemless wine tumblers are the perfect thing to take by the pool, to the beach, or camping! They have a beautiful rounded and tapered shape that fits wonderfully in your hand. They come with a plastic lid that you are able to insert into the cup. It fits snugly and vacuum seals by the rubber ring around the lid. A tab sticks out on the side of the lid in order to easily pop it out of the cup. A small opening is in the top of the lid to sip or stick a straw in. 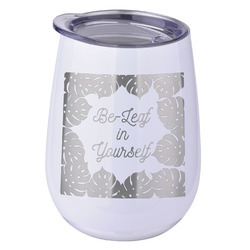 Design your wine tumbler with a cool graphic or quote. Even put your initials or monogram! These cups are laser engraved, which looks extra sharp on the metal tumbler. 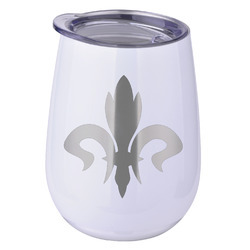 Take a look through our Drinkware to find other fantastic products like this one. We have everything you might need, like coffee mugs, beer steins, water bottles, big tumblers, and more. Any of our drinkware makes a perfect Gift!